In addition to designing creative custom wedding invitations, Carolina Della Valle, owner of Brooklyn’s Modern Press, also makes these cool wooden wedding accessories. I love the sleek modern table numbers made from 1″ thick by 5″ solid mahogany squares, and the romantic “just married” signs made from hand-oiled mahogany tiles, laser-engraved and bound together with twine. If you love them too, you’re in luck! Modern Press is having a summer sale through July 4th. 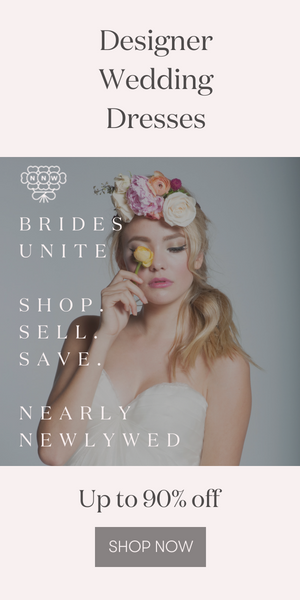 Take 15% off all accessories, and 10% off all custom wedding invitations. Visit their website for more informaiton. Thanks Carolina! Modern Press is incredible! I’m a huge fan!